The new ultra-light and very compact Petzl TIBLOC ascender for rope ascents, hauling systems or friction knot replacement in self-rescue situations, the TIBLOC has an automatic system that presses the karabiner against the rope whereupon the stainless steel cam with angled teeth and self-cleaning slot securely grips the rope, even in muddy or icy conditions. Can be used on ropes from 8mm - 11mm. Angled teeth and self-cleaning slot securely grips the rope, even in muddy or icy conditions. Can be used as a progress capture device in a hauling system. Small hole at top of the Tibloc allows a keeper cord to be attached. 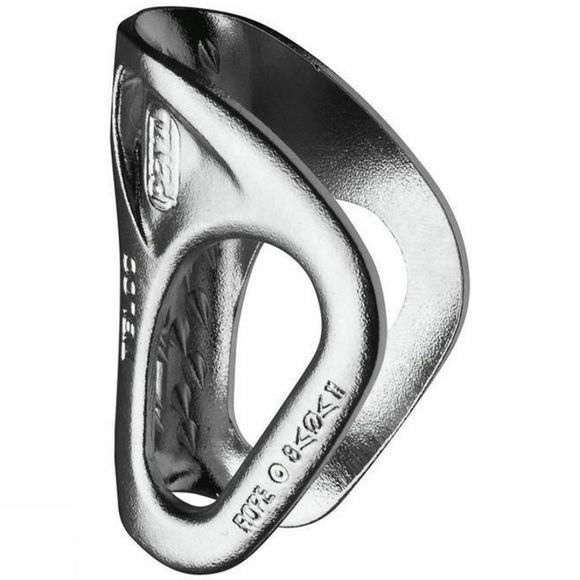 NB Must be used with a locking Karabiner having a 10mm to 12mm round or oval cross section (eg Petzl Am’D).